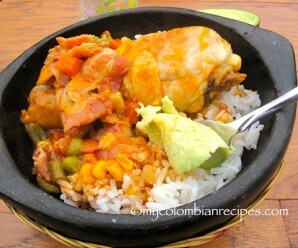 Now that I am so far away from home and my family, dishes like this Pollo Sudado con Zanahoria take me back to Colombia. 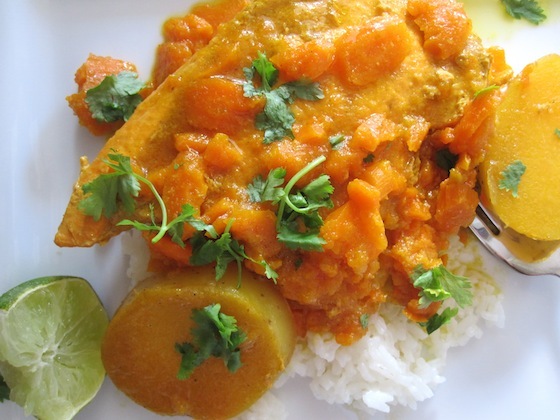 If you are looking for something simple and tasty to make for a weekday dinner for your family, my mom’s Chicken with Carrot Sauce is the perfect dish. 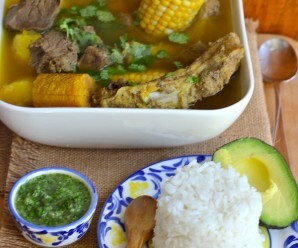 I like serving it with plain white rice, lime wedges and avocado salad on the side. Slice each chicken breast in half, horizontally, making 2 thin cutlets. Sprinkle lightly with water, place between two sheets of plastic wrap and pound until 1/4 inch thick. Place the chicken cutlets in a zip lock plastic bag. Add the cumin, garlic, onions, salt and pepper. Refrigerate for 3 hours or overnight. Be sure the cutlets are evenly covered. In a large sauce pan, heat the oil and butter over medium heat. Place the chicken into the skillet and cook for 2 minutes per side. Add the carrots, potatoes and broth. Reduce the heat to low, cover and cook for about 15 minutes. Add more water if necessary. Uncover the sauce pan and using a fork, mash the carrots. Cover and cook 5 minutes more. Add lime juice and fresh cilantro. Serve over white rice. This sounds good – and so different than just roasting carrots to go along with the chicken. So bright! Great way to get those needed carrot vitamins in. 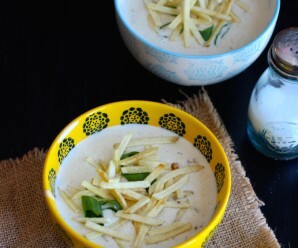 A simple dish but with delicious sweet flavour. I’ve never combined chicken with carrots but sounds wonderful. I’ve never seen a carrot sauce like this before but it seems so vibrantly flavored! I love the flavors you use – it’s always great to find a wonderful recipe using boneless, skinless chicken breasts – thanks for this! Erica, I never heard of chicken with carrot sauce, but can imagine how tasty it is with the sweetness of the carrots. Beautiful color as well. oh this sounds very healthy and flavoursome! 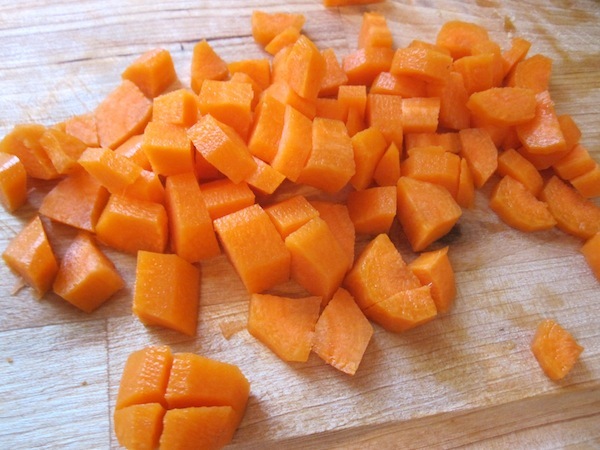 Wow how beautiful and it must taste delicious with the sweetness of the carrots. Bravo! This is a very bright dish and very pleasing to the eye:D I bet the taste must be really delicious! Hi this is good. i made it but i used sweet potato and it was so good!! Is there any way to have them organize alphatical. it was that i was looking for the Arroz con Pollo. Thanks i like all your recipes. I have never tried this but it really sounds like something I will like. The carrots make it such a bright dish. Wow, what a pretty and delicious sounding dish, I would not have used carrots like this, and now I want to run out and buy a bunch! Tengo una pregunta acerca de esa receta: la cebolla y todo lo que se uso cuando se puso el pollo en la bolsa ziploc también se echa al sartén? o se descarta? Mi obsesión con Colombia comenzó hace unos 12 años con la telenovela Betty la Fea. Me fascina la comida, las costumbres, la cultura, la forma de hablar, en fin todo. Ahorita estamos viendo Hasta que la Plata Nos Separe y El Ultimo Matrimonio Feliz! El caso es que me gustaría mucho visitar colombia y degustar esas comidas deliciosas! En mi vocabulario ya utilizo: Cómo así?, Camine a ver, ¿Cómo se le ocurre? Esa vaina, qué jartera! No pues, Qué tal? Verraco y muchas otras haha. Solo agrega el pollo al sartén. Definitivamente ya le tengo el ojo echao a sus recetas! Todas suenan riquisimas y sencillas de hacer pues son los mismos ingredientes que utilizamos en Mexico. Hi! 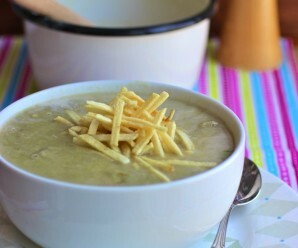 I got this recipe from another site a while ago and since then have been cooking it very frequently, and my husband loves it! (he’s Jamaican. I add lots of hot sauce as well). Anyhow, the recipe I got makes it a bit differently. Yours seems much simpler, and I never thought about adding carrots! Can’t wait to try it. But the reason I’m writing is to ask if you use a stainless steel pan to make it? Currently I start with the sauce first and add the chicken later. But because I use oil it splatters everywhere. I used to use a non-stick pan to make it and it worked well, but now want to switch to stainless steel. Is that what you use?